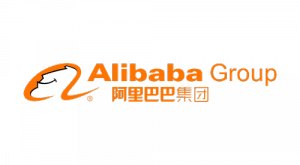 Alibaba Group Holding Ltd (NYSE:BABA) is poised to take the online landscape in the U.S by surprise with a business model that could spell more trouble to the likes of eBay Inc. (NASDAQ:EBAY). During an interview on Bloomberg, Author of ‘Buyology’, Martin Lindstrom, reiterated that Alipay could soon revolutionize not only China, but also America on online transactions. Lindstrom argues that online shopping is gaining traction in China where a good number of people are starting to ship goods from the U.S; transactions made possible by the availability of Alibaba’s Alipay. “Products coming out of the U.S is seen as the next generation of brands in China. First you had the luxury brands now what is happening is if I can buy things fresh out of the U.S. and bring them back again. I feel like I am really important, “said Mr. Lindstrom. Alibaba Group Holding Ltd (NYSE:BABA) looks destined to threaten eBay Inc. (NASDAQ:EBAY) dominance on online transactions across the globe, backed by its three main websites Alibaba.com, Tmall and Taobao. The giant Chinese company is also trying to attract more U.S. merchants with western brands on its Chinese language sites. The move could potentially affect eBay Inc. (NASDAQ:EBAY)’s market share on online transaction where it has dominated over the years. Alibaba Group Holding Ltd (NYSE:BABA) payment system Alipay is already giving the Chinese population confidence that they can buy items in the U.S and shift them back to their homeland instead of having to rely on eBay. The Chinese government is also encouraging the population to stick to goods produced in the country a move that is expected to affect eBay Inc. (NASDAQ:EBAY)’s push for market share in the country. Alibaba Group Holding Ltd (NYSE:BABA) push for market share in emerging markets also looks set to threaten eBay Inc.(NASDAQ:EBAY) expansion plans in these markets as both of them operate under the same model of connecting buyers to sellers.